Dr. Emory Gonzales graduated the medical school at Louisiana State University in New Orleans in 1979. He completed his residency in diagnostic radiology at the University of Texas Southwestern - Parkland Health & Hospital System. He is certified in diagnostic radiology and is also specialized in body imaging. Dr. Gonzales has over 37 years of medical experience and he currently works at Mt. 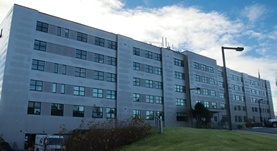 Edgecumbe Hospital in Sitka, Alaska.